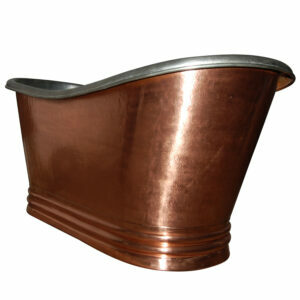 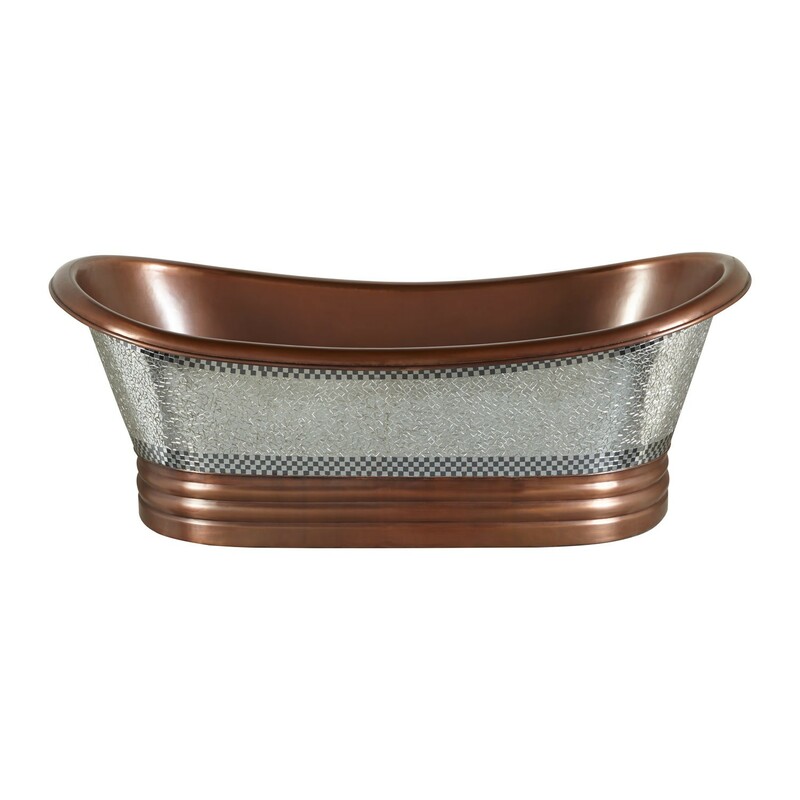 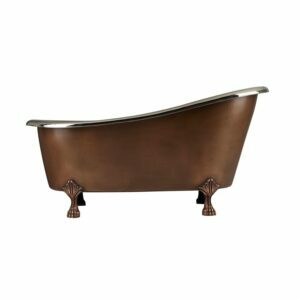 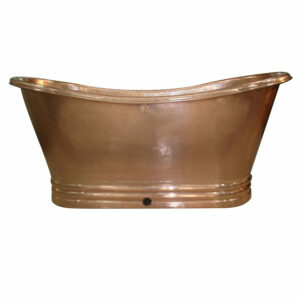 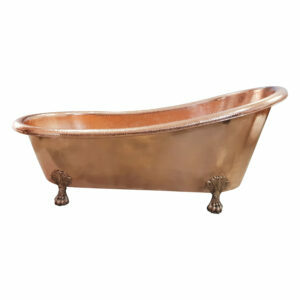 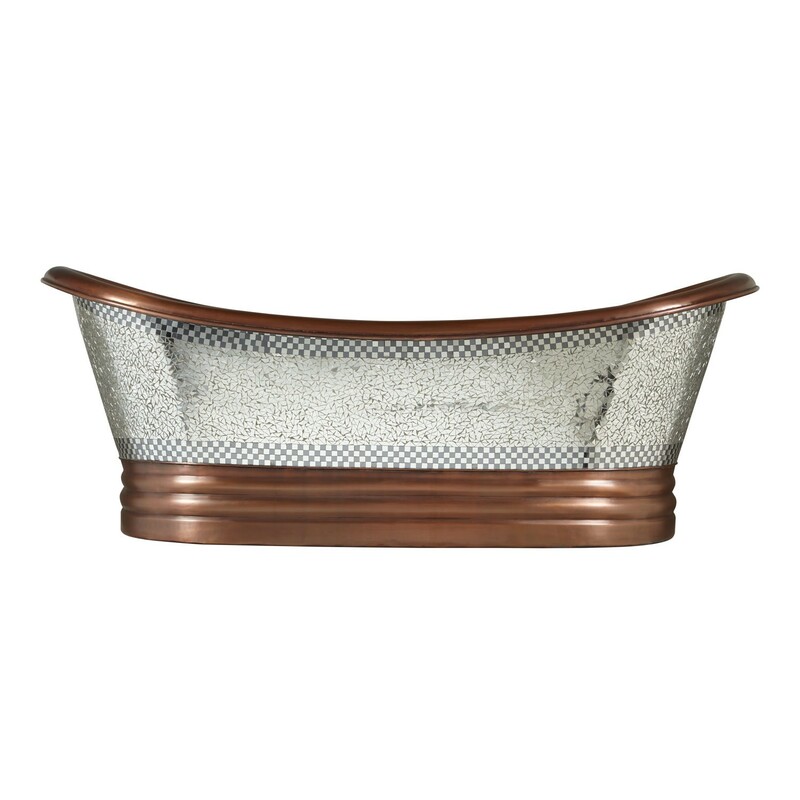 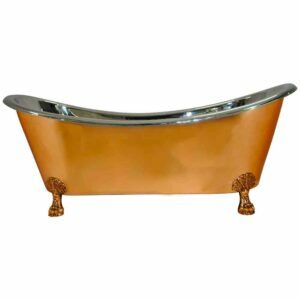 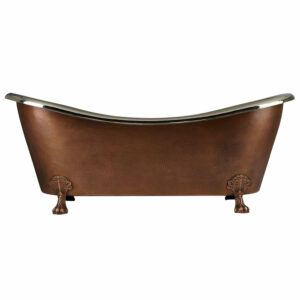 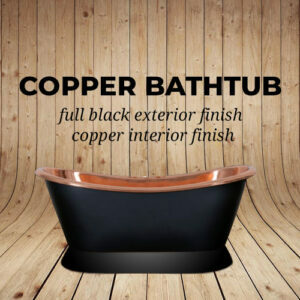 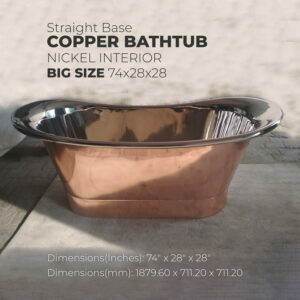 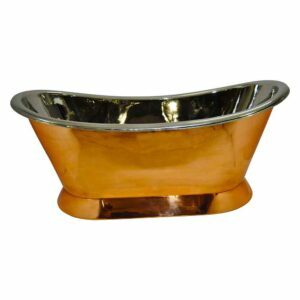 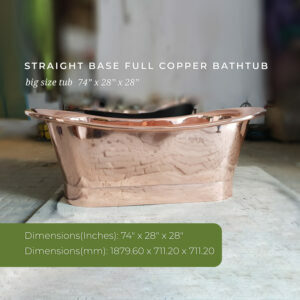 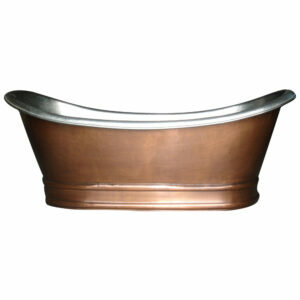 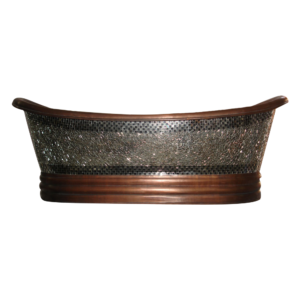 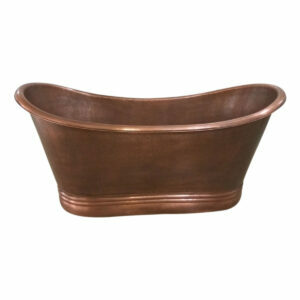 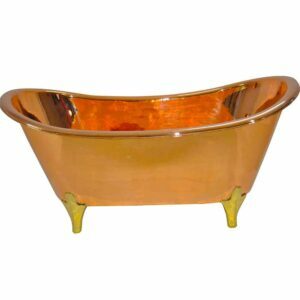 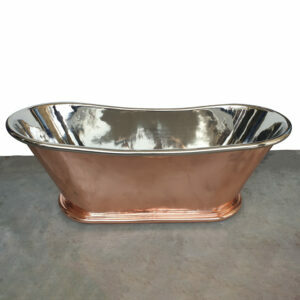 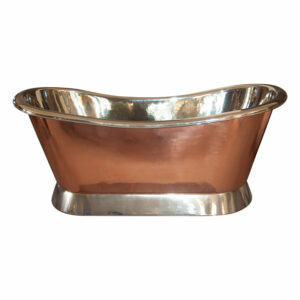 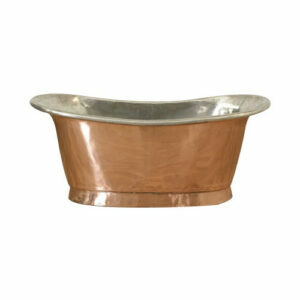 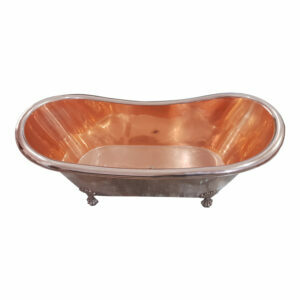 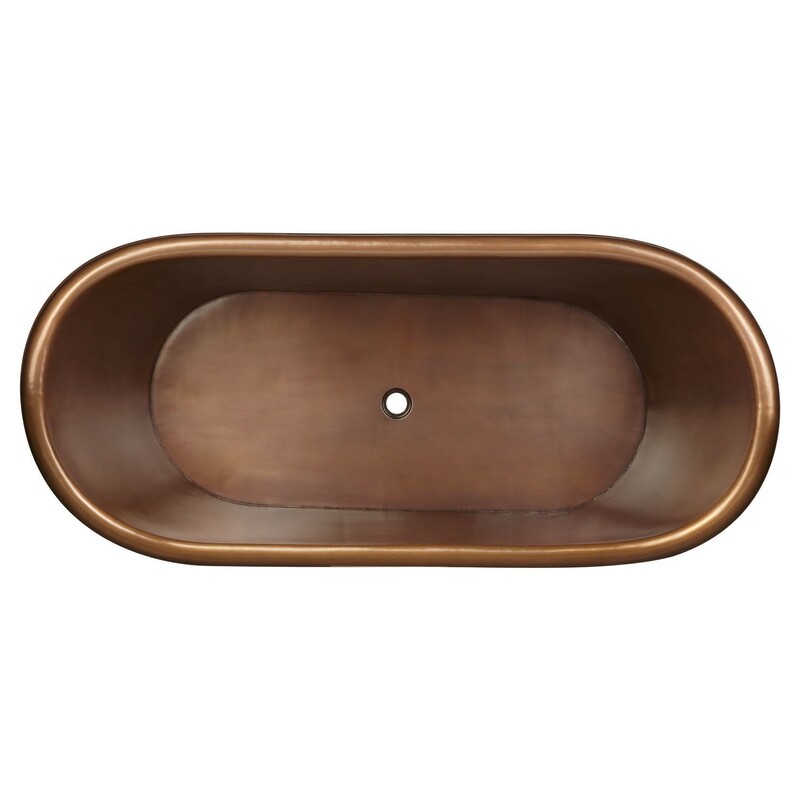 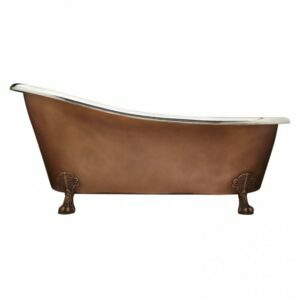 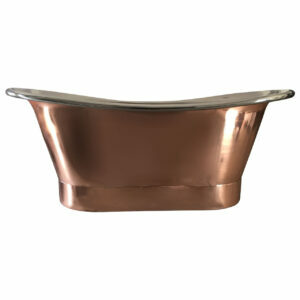 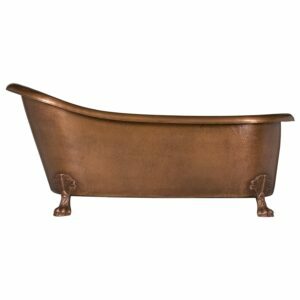 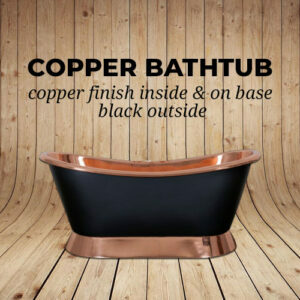 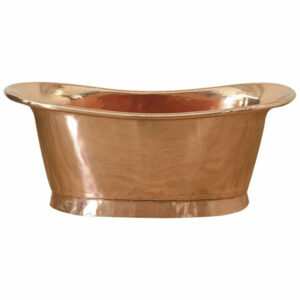 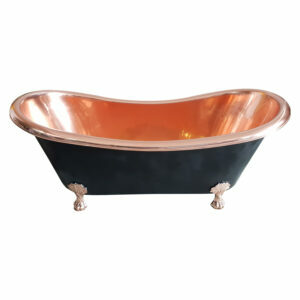 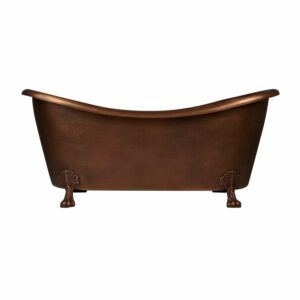 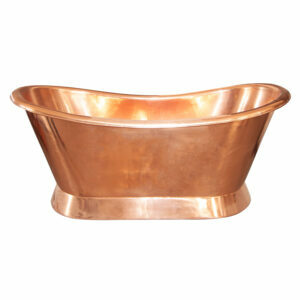 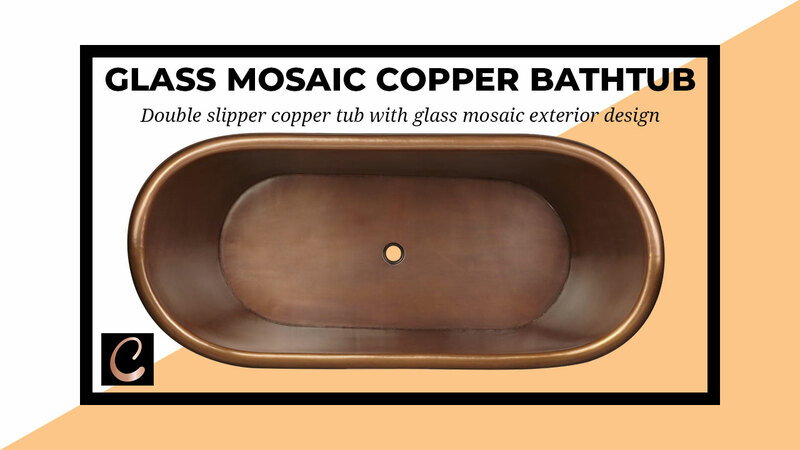 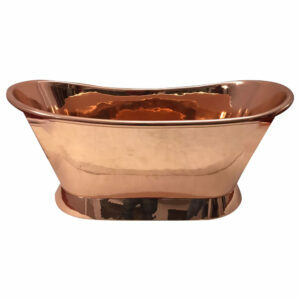 This double-slipper Glass Mosaic Copper Bathtub is truly a work of art. 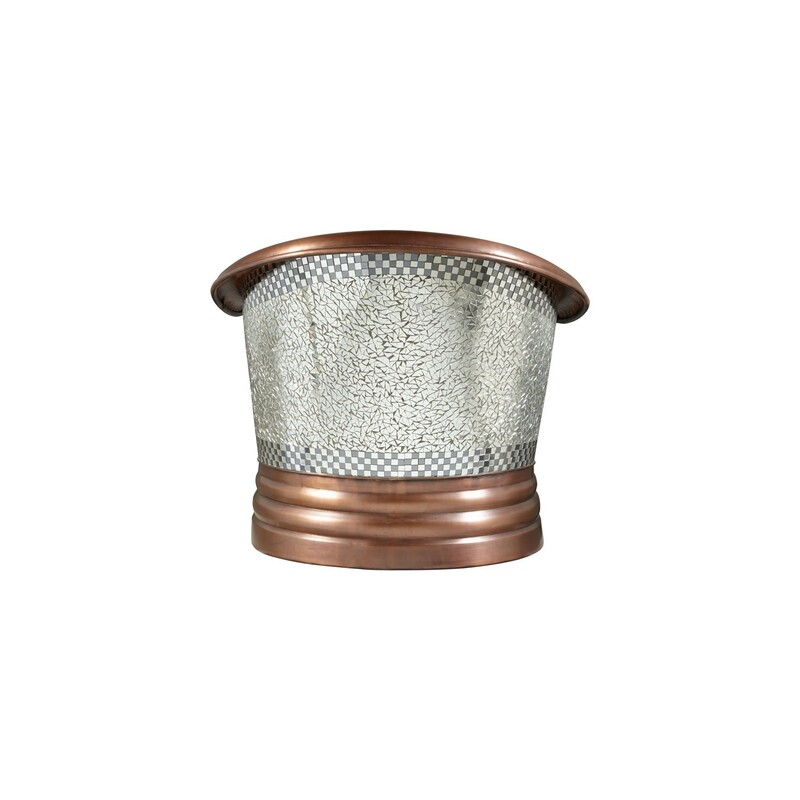 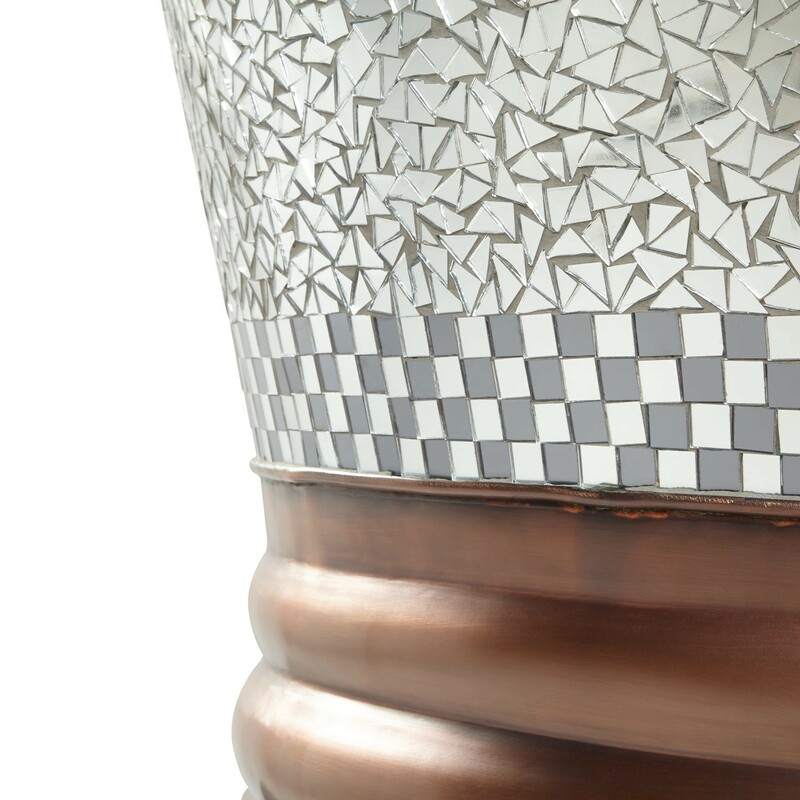 The antique copper finish contrasts beautifully with the mirror mosaic pieces that are intricately inlaid into the exterior. 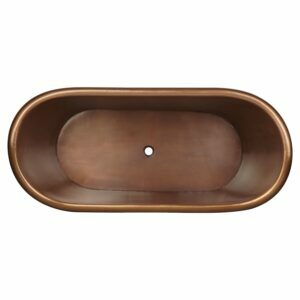 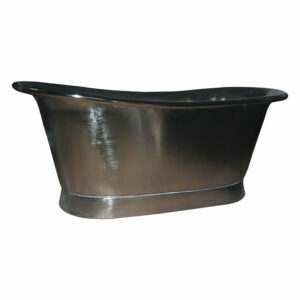 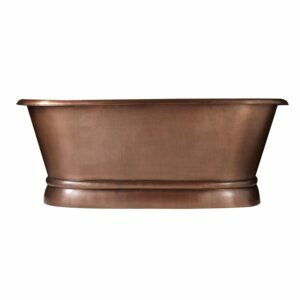 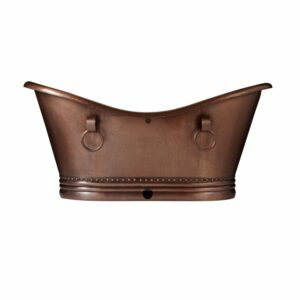 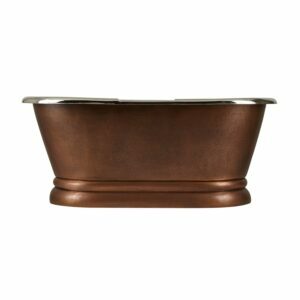 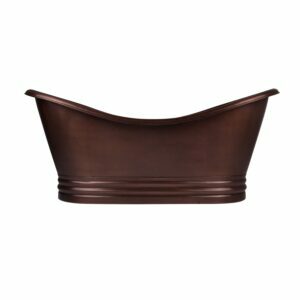 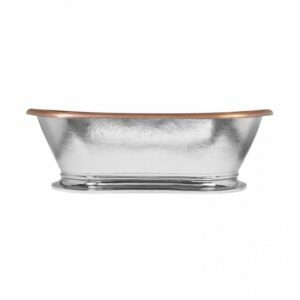 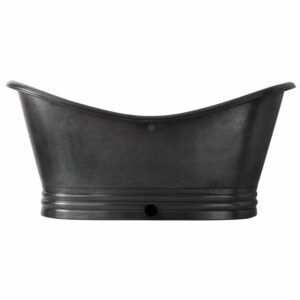 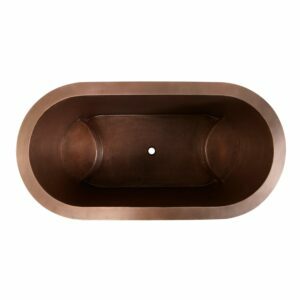 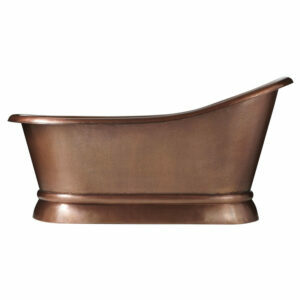 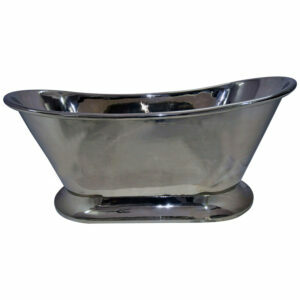 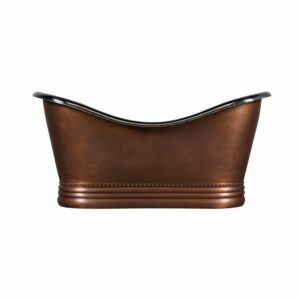 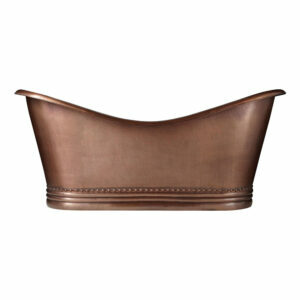 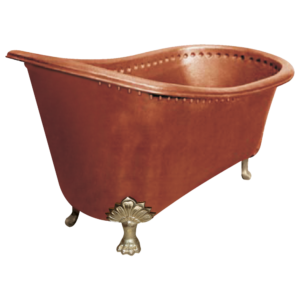 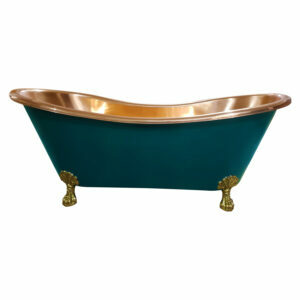 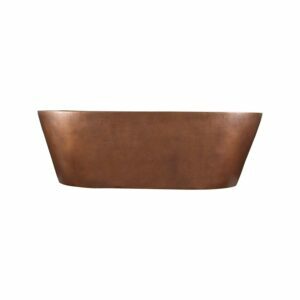 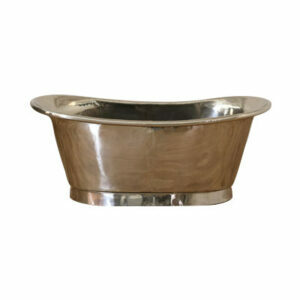 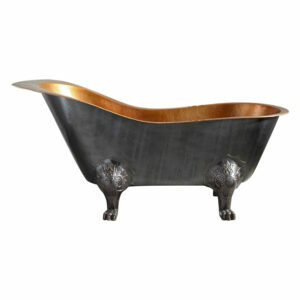 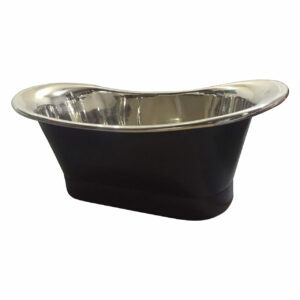 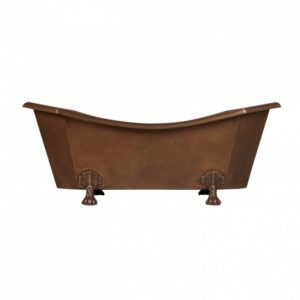 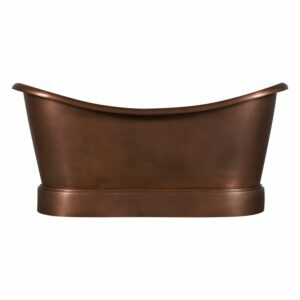 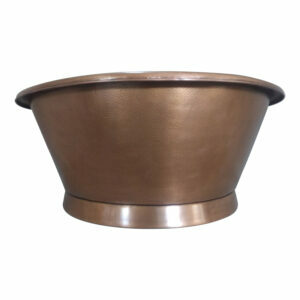 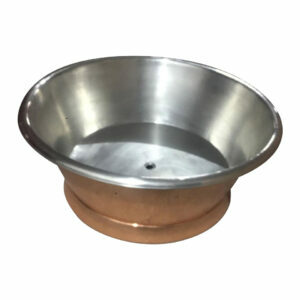 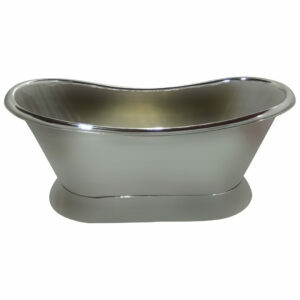 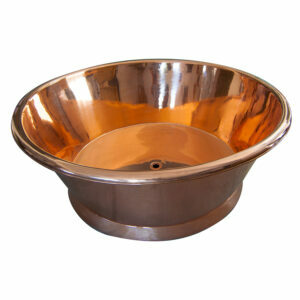 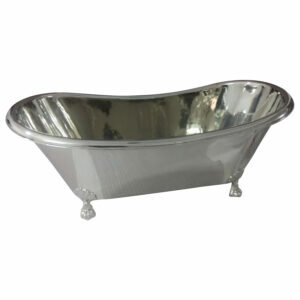 The detailing on this piece ensures that it will be the shining focal point of any bathroom.